Type B solutions have been developed to complement the T3 Control Groups, and are not suitable for Firstbox, TM3 Controller, FMU2 Floor Mixing Unit, M3V Controller or FCU Floor Control Unit solutions. 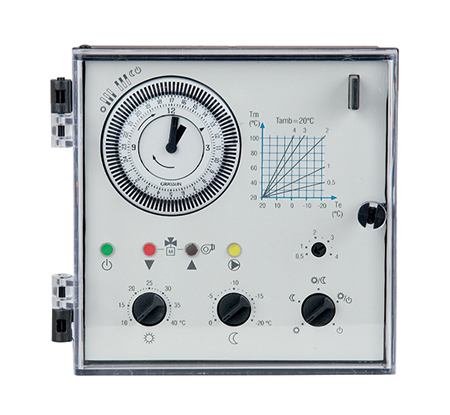 The RCE is an electronic temperature controller that has three modes of operation; Weather Compensation, Fixed Point, and Modulating. It can be used for low temperature Under Floor Heating and cooling and high temperature radiator heating. 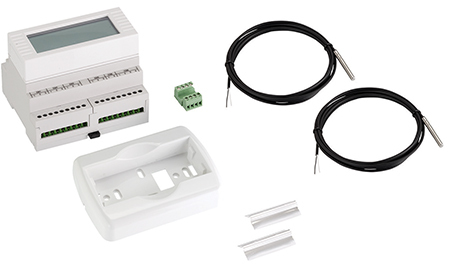 Includes electronic control unit, remote mounting box, 2 sensors, probe holders and extension connector. The RCE can control 230V or 24V 0-10V mixing actuators. For proportional control of a suitable mixing valve available with either a 24 hour or 7 day timeswitch. Supplied with 2 x remote sensors, 2KΩ PTC type, the unit incorporates 3 relay outputs for 3 point mixing valve control and pump operation. The control may also be used to control an on-off boiler directly. Weather compensation is a form of temperature control that varies the water temperature in a central heating system depending on the outside temperature. In general, the water temperature increases as the outside temperature decreases. The rate of increase is determined by user set parameters or a ‘heating curve’. Will weather compensation reduce my energy consumption? Weather compensation systems aim to keep the occupied space at a constant temperature, for example 20 degrees, they do this by matching the heating output to the losses of the room/space at a given outside temperature. Traditional central heating controls tend to over and under shoot the set point leading to larger variations in room temperature. If you plotted it as a graph it is the areas under the peaks and troughs above and below the set point that energy savings through weather compensation can be made. 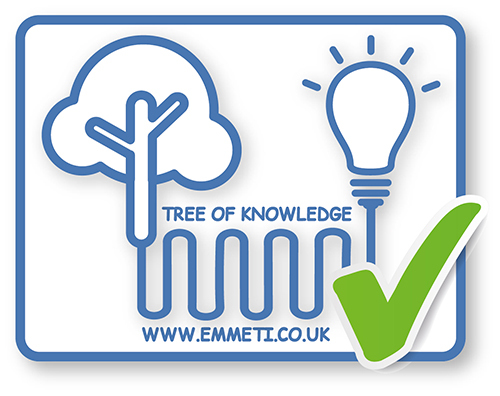 Can your weather compensation kit stand alone? Yes, the RCE can work as a standalone weather compensator, varying water temperature by adjusting a mixing valve. Where should I site the outside sensor? The outside sensor should be installed on a North facing wall.